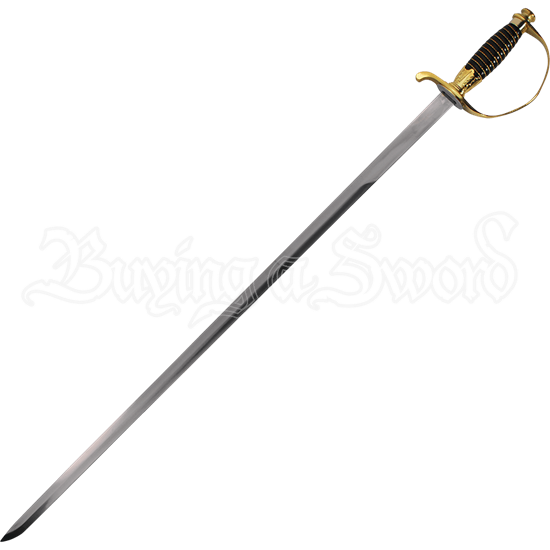 Drawing its inspiration from military swords of the early 1900s, the Gold and Black Handle Cavalry Sword is a single edged, stainless steel decorative blade with golden tones on its handle and on the fittings of its included sheath. The hilt features a golden D-guard designed to protect the hand of the wielder as it extends over the striped black and gold grip. One arm of the guard is angled slightly upwards while the other meets the pommel, forming the D-guard shape. The included sheath is black with gold tone fittings at its throat and endcap, and a gold tone ring at the center of the sheath makes this sword easy to display or carry when fixed to a cord or chain. 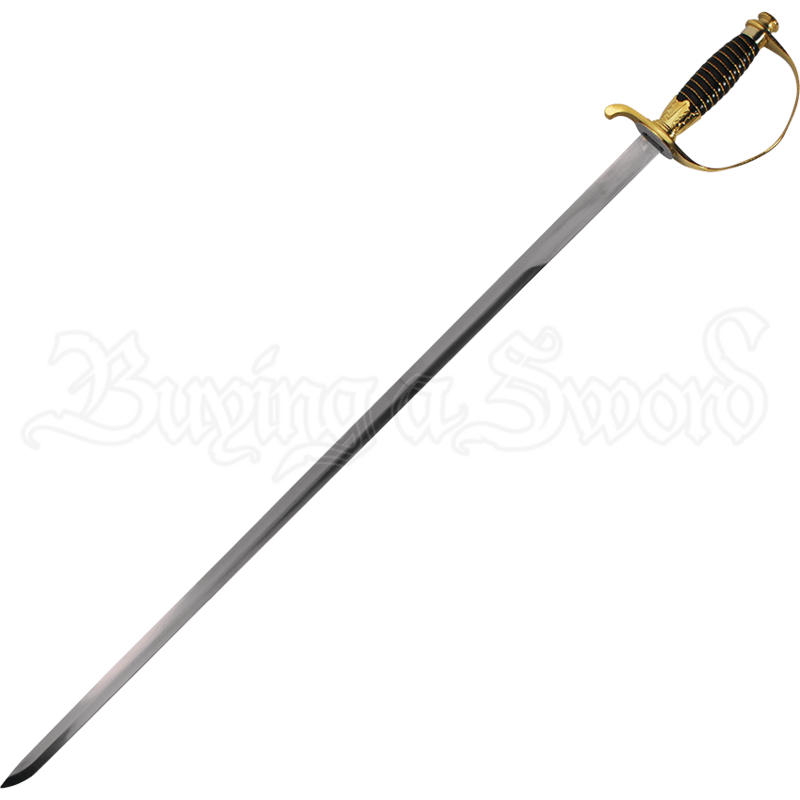 A unique collectible for history fans, this decorative cavalry sword looks great in military or WWII themed displays.